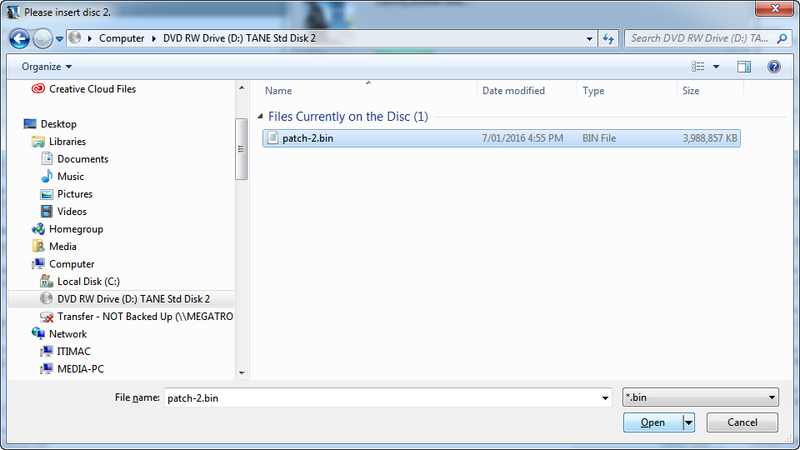 This article provides a step by step guide to installing TANE SP1 using the new DVD installer (for box edition disks received in 2016). NOTE: For users who have purchased the TANE SP1 "Installer" Edition (Standard or Deluxe), the disks you have received will create a NEW INSTALLATION. 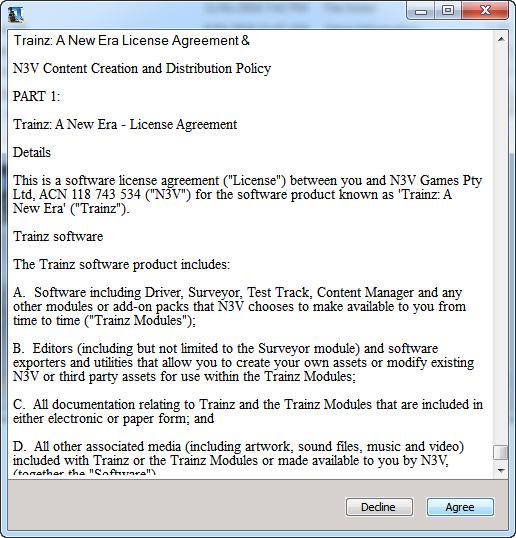 The default location is C:\Program Files\N3V Games\Trainz A New Era. If this folder exists please select a new location to install. 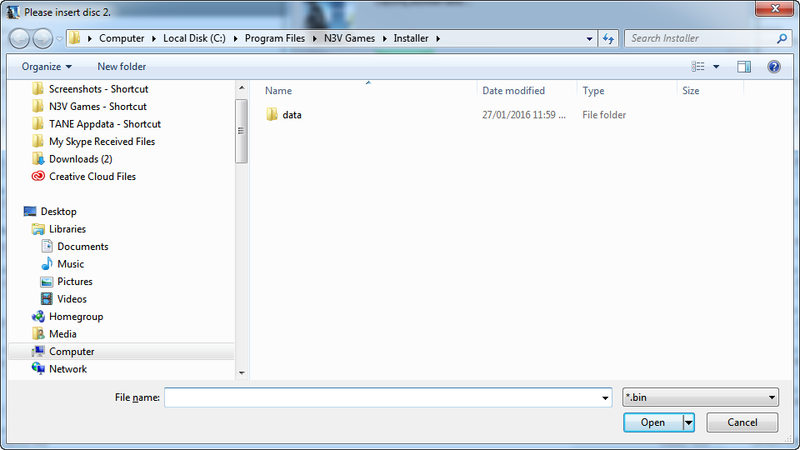 If this folder already exists, your install will show the following warning. 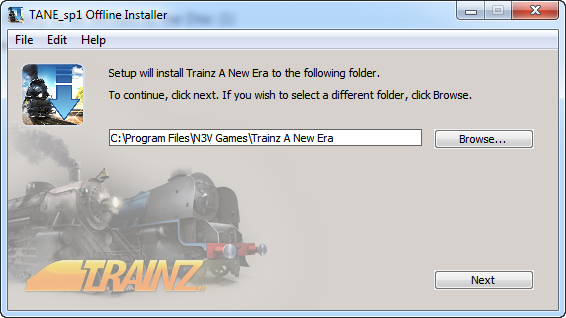 For existing users who have order the SP1 Installer disks, use your existing Product Key (this can be found in MyTrainz > Serial Numbers if you have registered it). If you do not have a Product Key or have ordered the wrong disk for your key, please contact anewera@n3vgames.com with details of your original purchase. The installer does not create a Start Menu or desktop Shortcut. To create your own shortcut to TANE SP1, please follow this guide. 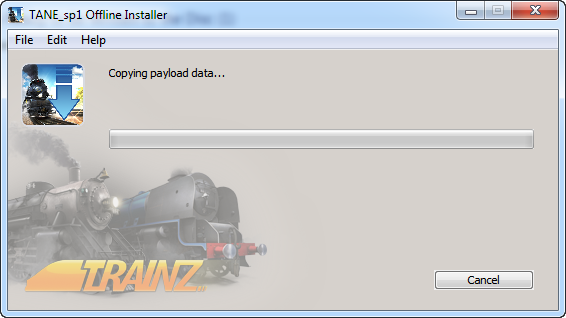 You do not need to re-register in MyTrainz - just enter the Product Key to acitvate your build, enter your EXISTING MYTrainz username and password in the Launcher if you want to use the online features (and untick the disable" box). You DO NOT need to register your Product Key in MyTrainz. 4. Invalid Product Key error. Ensure that you have the correct key for your installation version. The first 3 letters indicate which version is required.